One of the effects of globalization on the car industry is that most of the vehicles are now conceived and developed for all regions. The global car is a reality for many brands that want to save costs and increase their presence everywhere. Each market has its differences on regulation, taxation and consumer taste, but most of the drivers around the world look for more or less the same: a solution for their private transportation. Thanks to this process, Fiat was allowed to buy Chrysler in 2009 and to start selling the Jeeps in every corner. Ram is now selling its trucks outside USA, and Alfa Romeo and Maserati are slowly gaining traction in other markets like North America and China. Now it is possible to see four different Jeep Compass according to their production location. 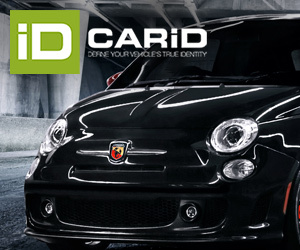 Fiat brand is an exception to this trend. Due to its positioning and product range, the Italian brand can’t be considered a global brand as it struggles to sell its tiny cars and hatchs in markets like China, USA and South East Asia. The Fiat 500 is a global icon but is not popular outside Europe. The lack of bigger cars and SUVs didn’t help Fiat to gain traction in North America and China, increasing its dependence on Europe and Brazil. However, Fiat is not the only car brand without a global presence: Seat (Europe, Mexico, North Africa), Skoda (China, India and Europe), the French brands (they don’t sell their cars in USA), Opel (Europe), Mazda (is not present in Mercosur). Most of Fiat cars are now available in two different markets: Europe and Mercosur. Everything but the badge is different between a European and a Brazilian Fiat. They look like two different companies with their own positioning and brand image. This is how the Italian brand responds to the consumer needs in both regions. One brand and two ways of projecting its values. How good is this? It is true that the South American car industry is very different from the European one. It all starts with the big income gap that there is between their consumers. Then comes the infrastructure issues and of course the tax and safety regulations. This is why the car trade between Mercosur and the EU is very limited. In H1 2018, only 1.7% of the passenger cars registered in Brazil came from the EU, and only 19 passenger cars made in Brazil were registered in Europe. The reason for the limited exchange between Brazil and the EU is explained by two facts. The first one is related to the high tariffs on imported cars in Brazil, where most of the registrations correspond to cars produced locally or in Mercosur countries. The second reason is the big quality and safety standards gap between the cars sold in Brazil and Europe. The issue with Fiat is not the trade but the positioning and brand image difference between the two markets. If its brand image is not well perceived in Europe, it has a strong identity in Brazil, where many consumers appreciate it. Fiat is a referent of innovation, design and quality in Brazil, whereas its reputation is quite bad in both Italy and the rest of Europe. In terms of the lineup, there is also a big contrast. Even if the focus is on small cars in both sides of the ocean, the Brazilian division is more successful in other segments like the pickups. However, the biggest difference between them is their potential, their future. The position of Fiat in Brazil is definitely stronger than its European counterpart, as it has a clear positioning, in contrast to the lack of clarity on the role that Fiat is supposed to play in Europe in the coming years. While Fiat Europe struggles to keep its market share with aged products like the 500 and Panda, and only one SUV, the Brazilian just got the Mobi, Argo and Cronos. However, they both share a big limitation that is becoming crucial for the future growth: the lack of SUVs. Both Brazil and Europe are growing thanks to the SUV segment, and Fiat is one of the few big mainstream makers to be almost absent from this trend. No SUVs mean no growth. Brazil is therefore the last positive outlook for Fiat as a brand. As it loses ground in Europe and there is nothing clear regarding the product plan, the brand is becoming more dependent on whatever happens in Brazil. The European division should follow the example of the Brazilian case and add more SUVs to its lineup in order to avoid a collapse. ← Group results Q3 2018: what to expect? Hello Felipe. No so long ago fiat exported models to Brasil – Uno-Tipo-Tempra – etc, so Brazil was benefiting with european operations. Now they should do the opposite or, better still, adopt VW strategy – global models with small adaptations. Look at vw polo, t-cross, jetta…. if europa is not enough… europe and brazil together are big enough to justify new models… suvs… etc. Fiat should adopt Skoda strategy – value for money, space, and add some italian flair. I would like to think that FIAT can actually gain some success and recover but honestly I am wondering if it’s too late . Almost anything they try it seems unsuccessful ( not like they are trying hard or too much to begin with ) .It had been years of missed goals , unpopular launches , etc . It’s more than obvious they are looking at the big picture and not just one brand , but I am wondering if really that’s the case why don’t take the hard decision and cut some brands off instead of starving them for models and hoping on miracles. Either sell them or completely kill them. It’s crazy that their brand name FCA -Fiat and Chrysler are both struggling. Any chance of any new articles? Review of 2018 etc.